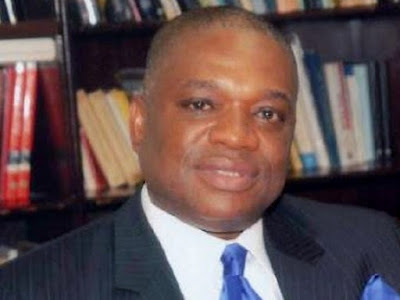 A former governor of Abia State, Orji Kalu, who was charged with an alleged fraud of N7.65bn, told the Federal High Court in Lagos on Wednesday that he had no case to answer. His lawyer, Prof Awa Kalu (SAN), urged Justice Mohammed Idris to dismiss the entire 39 counts filed against his client by the Economic and Financial Crimes Commission. The lawyer contended that despite tendering several exhibits and calling a total of 19 witnesses, the anti-graft agency failed to establish a prima facie case against the former governor. He urged the judge to discharge Kalu and let him go. Similar applications and arguments were canvassed by Messrs Solo Akuma (SAN) and K.C. Nwofor (SAN) on behalf of Ude Udeogu and Kalu’s company, Slok Nigeria Limited, who were joined in the criminal lawsuit as the second and third defendants respectively. Akuma, in his arguments, said despite alleging that Udeogu, who was the Director of Finance and Accounts of the Abia State Government House during Kalu’s administration, aided the former governor to lodge funds in the accounts of Slok Nigeria Limited, the prosecution did not present any bank teller endorsed by Udeogu to back up its claim. On his part, Nwofor contended that the statements of accounts tendered as exhibits by the prosecution were bound to be dismissed, having not been signed by the bank contrary to the provisions of the Evidence Act. But the prosecuting counsel for the EFCC, Mr Rotimi Jacobs (SAN), urged the court to dismiss the defendants’ no-case submissions, insisting that the prosecution had proven its allegations against them. Jacobs urged Justice Idris to order the defendants to proceed to open their defence if they had any. “How can they now turn around and say this does not call for questioning?” Jacobs queried. After listening to the two sides, Justice Idris adjourned till August 31, 2018 for ruling.